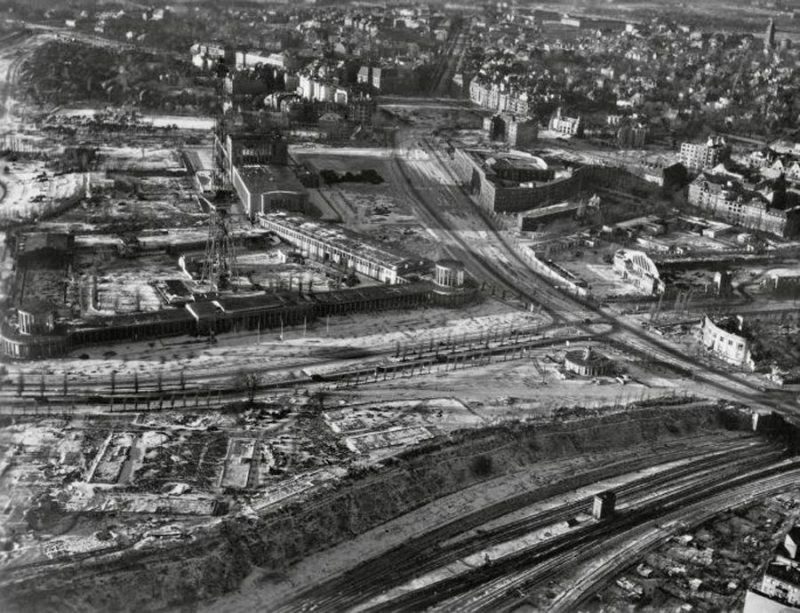 Following the end of World War II, photographer Hein Gorny took spectacular aerial shots of the ravaged German capital. 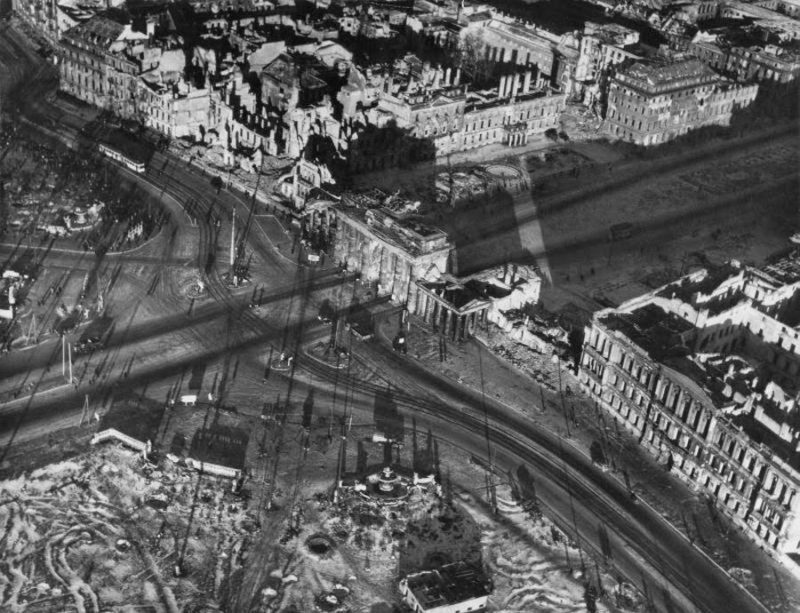 These were the first, if not only, photos of Berlin taken by a German photographer just a few months after the end of the war. 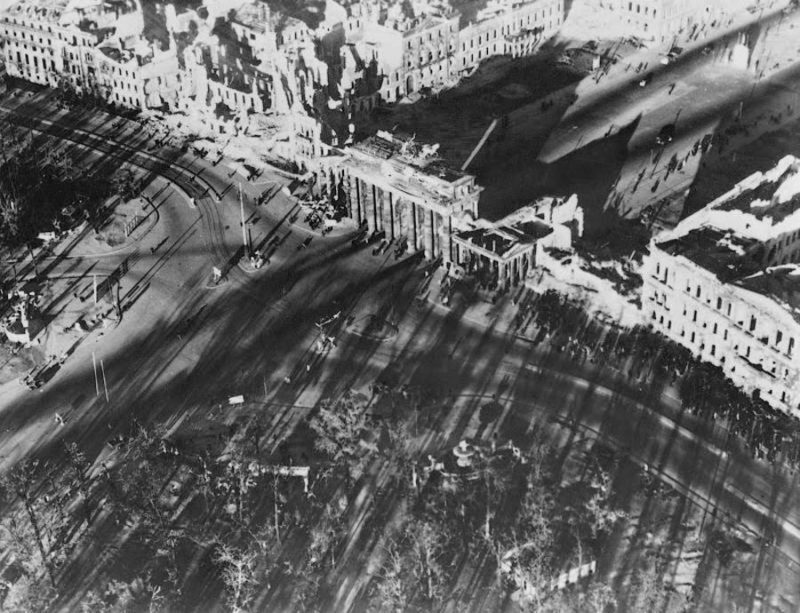 The square in front of Brandenburg Gate. 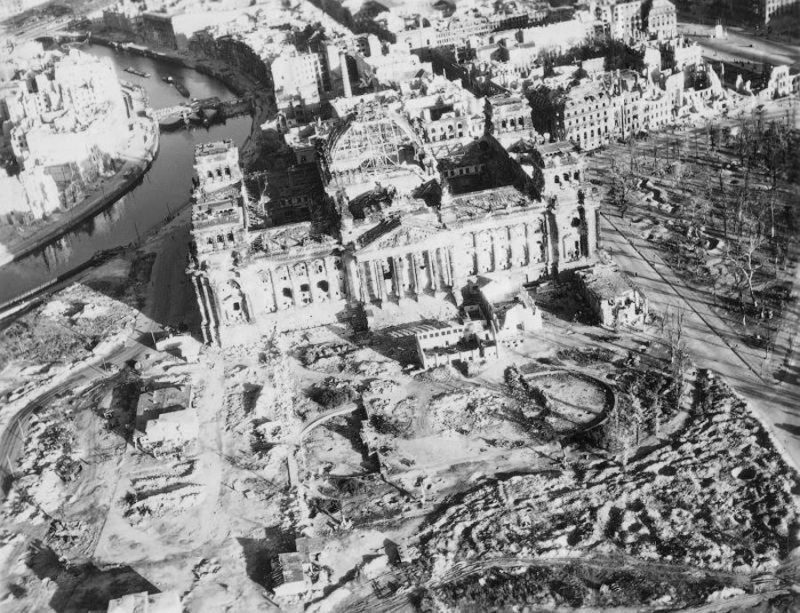 Berlin Reichstag: The towers of the building were expanded in 1941 to serve as flak towers. The cellar was used as a birthing clinic by the local hospital during the war. 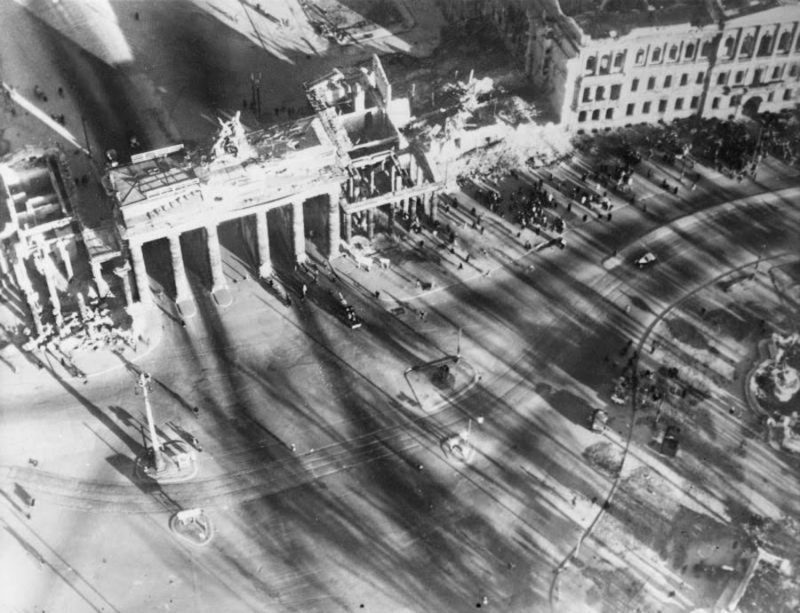 Pariser Platz: The neoclassical Brandenburg Gate is the only remaining city gate of Berlin. 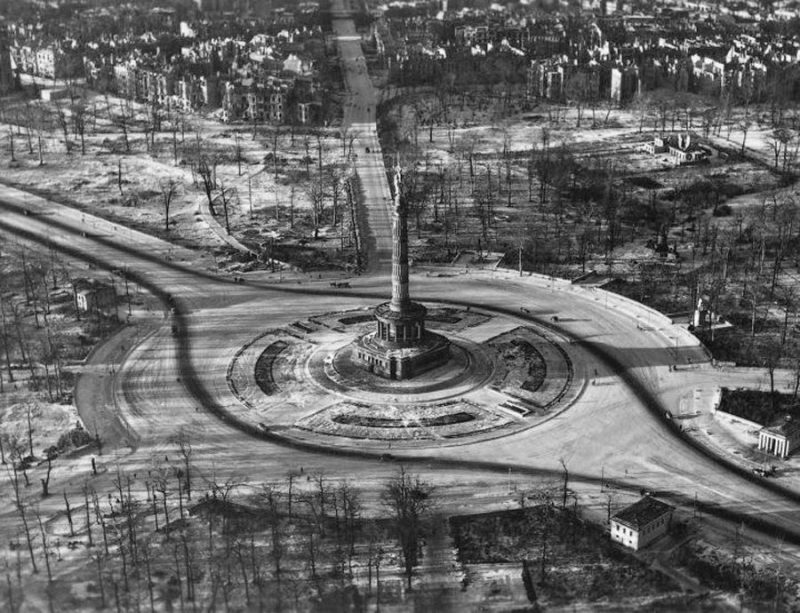 It survived World War II despite severe damage to the quadriga on top and the complete destruction of one column. 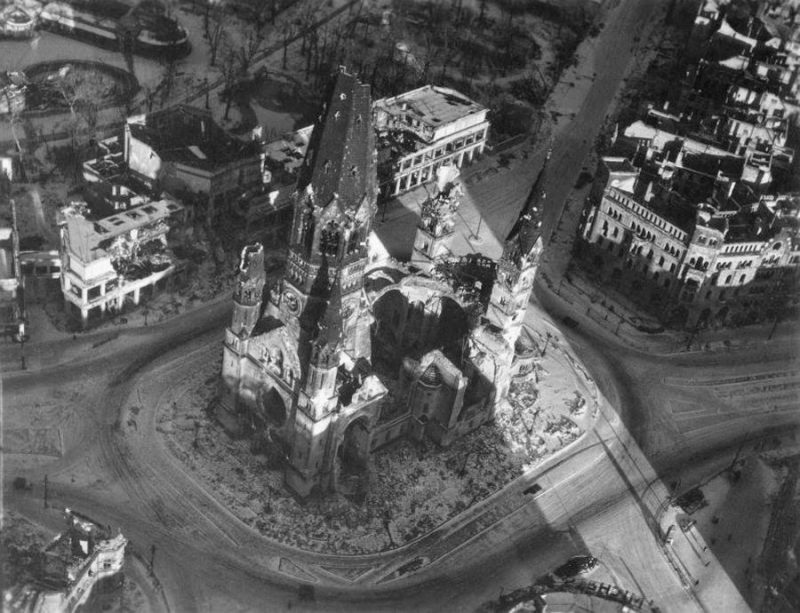 Kaiser Wilhelm Memorial Church, badly damaged during an air raid on Nov. 23, 1943. 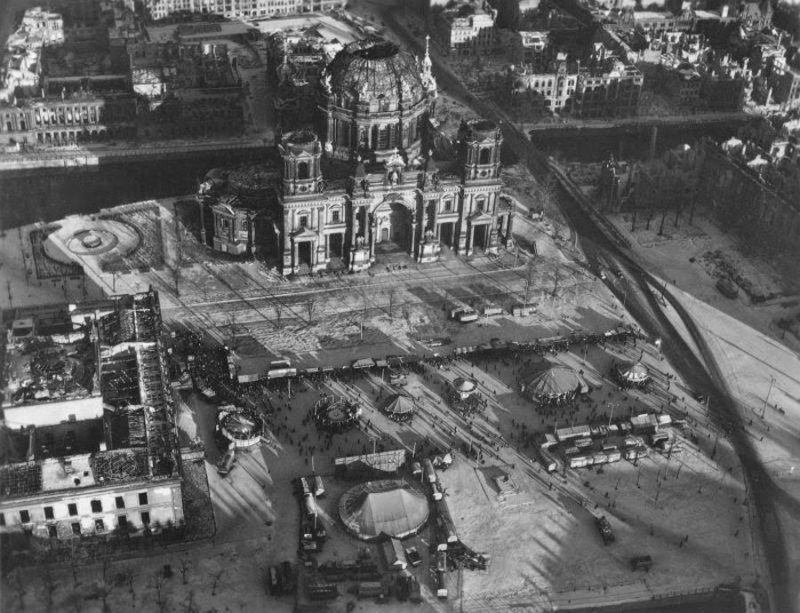 Berlin’s Cathedral caught fire during an air attack on May 24, 1944. It collapsed and the floor of the church crumbled, damaging a Hohenzollern crypt in the basement. 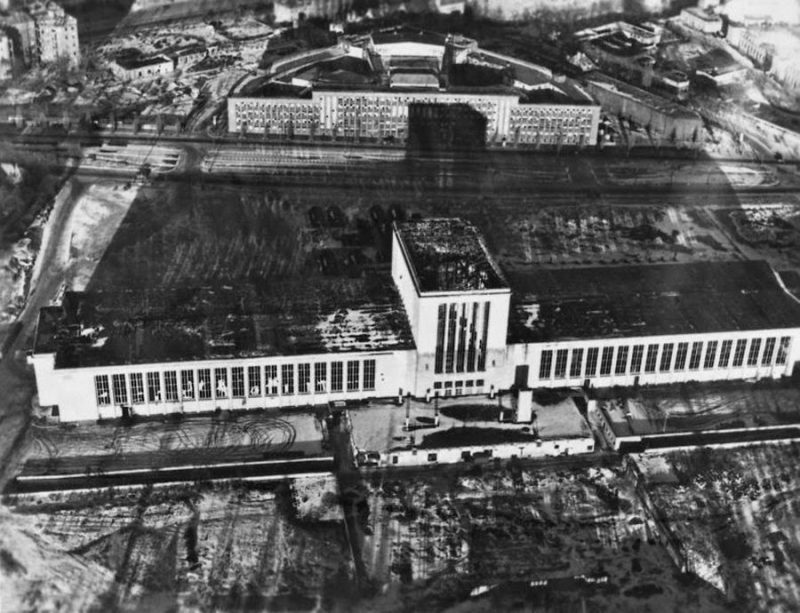 Berlin’s trade fair venue: The building with its striking facade was practically destroyed during WWII. 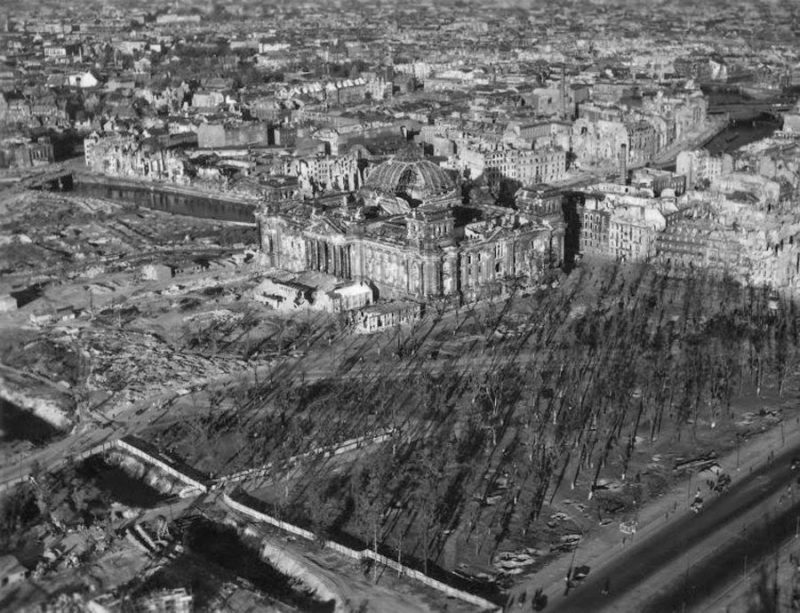 Reconstruction began in 1946. 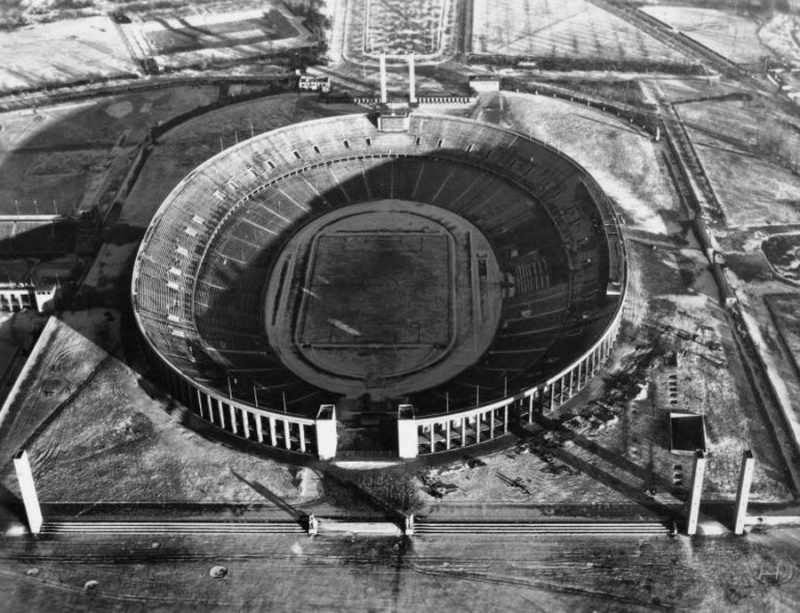 Olympic Stadium: The massive oval structure was designed by architect Werner March for the 1936 Summer Olympics.